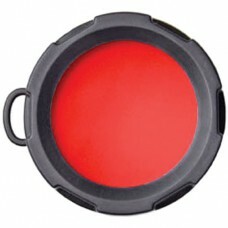 Red light is most often used to enhance, or more properly, not harm night vision. 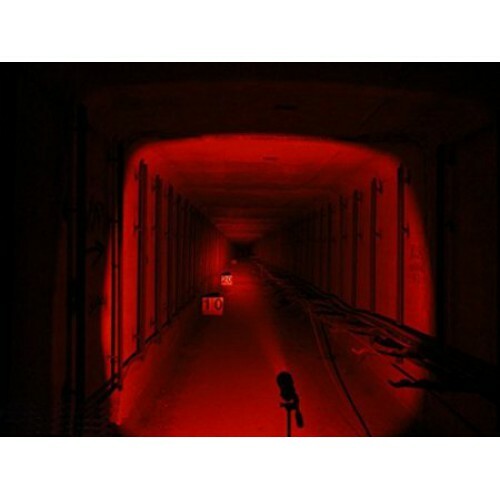 Red light provides great contrast and is not visible to the human eye over long distances. It also works well with night vision scopes and goggles. Photographers use red colored light when doing night-time photography because it provides contrast while preserving the natural shadows developed by darkness. Red light cuts through smoke better than white light and, with the exception of red lines and marks on maps and charts, it makes reading in low, or no, light possible. Police and military units like the red LED for night operations because it will not interfere with night vision technology and can't easily be picked up by other people. This filter is designed to fit with the Olight S10, S15, S20, M10, M18, M18 Striker, S10R, S15R, S20R LED flashlights.